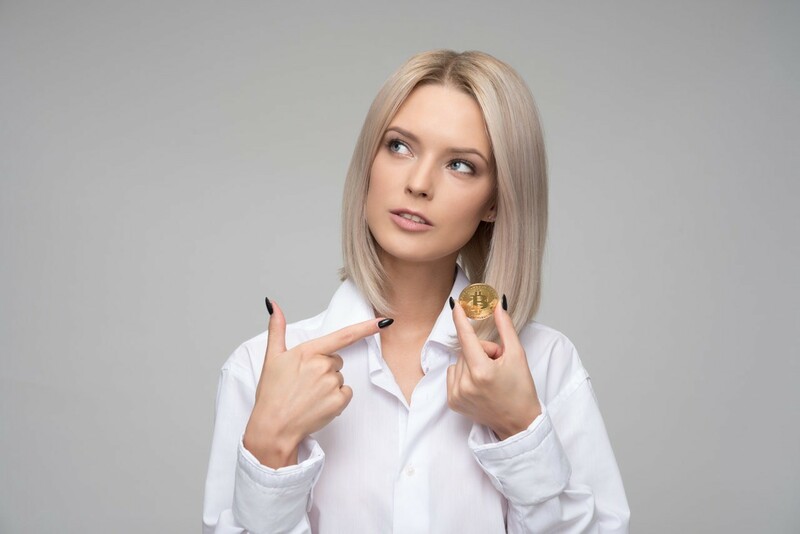 The term market cap has traditionally been used for the total value of all outstanding shares of a company but was eagerly adopted by the crypto community. We explain why comparing companies to currencies is not a great idea. A site that lists the most popular cryptocurrencies sorted by market cap is now at around number 300 on the list of most visited web sites, world wide. The term market cap has traditionally been used for the total value of all outstanding shares of a company but was eagerly adopted by the crypto community. This also lead to the value of Bitcoin being compared to the value of companies. Before Bitcoin nobody except nerdy economists talked about the total value of a currency and few of us would be able to make a good guess as to how many dollars or euros are in circulation. Still, using this number to compare Bitcoin to other currencies is of course fine, though you should be aware of the subtleties concerning money supply. Strictly speaking the roughly 17 million bitcoins in existence should be compared to the monetary base of other currencies, which corresponds to bills and coins held by the public as well as deposits held by banks in their accounts at the central bank, i.e. all the money that is created by the central bank, or the central bank money. 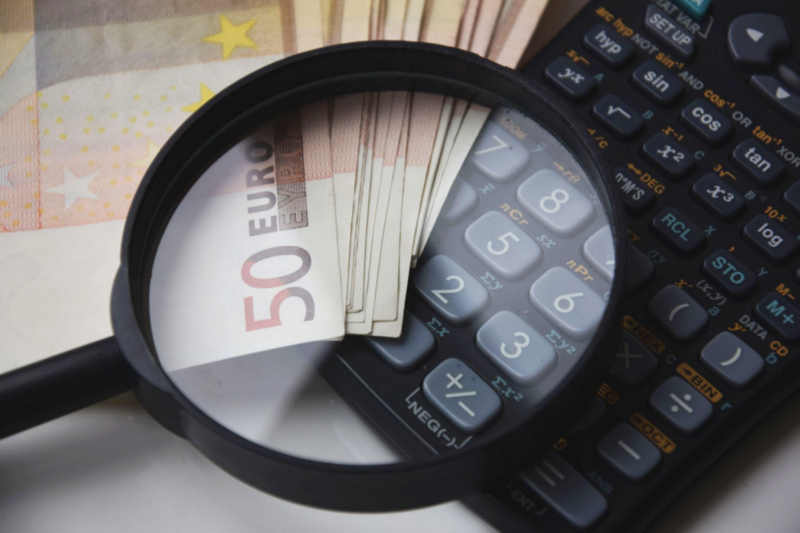 The more widely used measure of money supply called M1 does not include banks’ accounts at the central bank but instead includes customers’ money in checking accounts at the bank and therefore more closely resembles the total of what an average person would consider money. You might argue that since Bitcoin gives the average person easier access to the base money layer more transactions will be made using base money and the second layer bank money will lose importance. In that case, perhaps the value of Bitcoin is better compared to M1? Comparing Bitcoin to any company. What does it mean if Bitcoin is bigger than Apple or Microsoft? Is it a “big” currency then? If you really want to make this comparison I highly recommend All of the World’s Money and Markets in One Visualization. Check out “narrow money” for an idea of how the M1 money supply of the world relates to the largest companies. Comparing Bitcoin specifically to companies that handle payments, like PayPal. 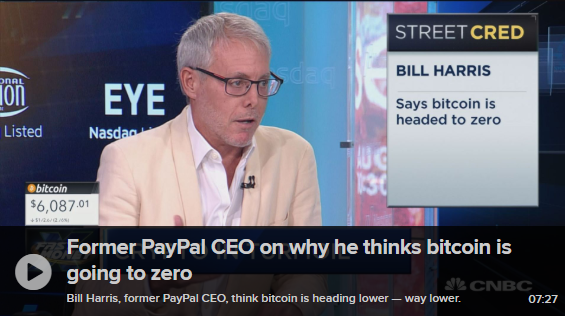 “Bitcoin’s now bigger than Paypal” seems to imply that Bitcoin’s payment system is more important/valuable that Paypal’s payment system but the market cap of Bitcoin tells us nothing about that. The market cap of Bitcoin is a whole other animal than the market cap of Paypal. We’ve got digital currencies. And we’ve got digital currencies that are more stable, more widely accepted, and have intrinsic value. We’ve already got them, they’re called the dollar, the yen, you name it. VISA does 50 000. Alipay does 250 000. Now, all of this is true (except for the “intrinsic value” part) but he’s comparing apples to oranges. Yes, national currencies of the world are largely digital, but the digital versions of them are usually only available to banks and other large institutions. When you are using digital money in your every day life you are using systems and money on top of the base money layer. VISA could easily support Bitcoin as an underlying currency — there is nothing technically difficult about that — but should we then claim that Bitcoin supports 50 000 transactions per second? Bitcoin’s number one selling point is its usefulness as a currency so we need to discuss that separately from its role as a payment system. As a currency, Bitcoin has some truly unique features. It can be used by anyone in the world with an internet connection, without asking for permission. It is not controlled by any country or corporation. It is transparent. The inner workings of the system can be audited by anyone with a good enough technical understanding. It is truly scarce. Not only is it the first time that this is possible in a digital good but its supply is also more predictable than any physical good. So why does this matter? One way to look at it without getting into politics is to consider the size of the Forex market, the market where participants buy, sell and speculate on currencies. This is by far the largest market in the world and the only reason it exists is because people across the world use different currencies. A common, neutral currency removes a lot of friction and Bitcoin is the best version of global and truly neutral money that we have seen so far. A completely new kind of money is something very unusual, which is why experts in business, finance or economics don’t quite know what to make of it. My advice is to think of it as digital gold and go from there. "Sweden's Very Own Bitcoin"? No, the truth is that the e-krona project has little in common with Bitcoin and cryptocurrency. Bitcoin was designed to be a censorship resistant system that doesn't shut anyone out and that can't be shut down. But is it? Or how can we make sure that it is in the future? The price of Trezor One has been lowered so that it is the cheapest hardware wallet on the market. We compare it to the more expensive Model T.
Just like the first book in the series the second volume covers a wide range of topics in a very accessible way. Why is Bitcoin worth anything? Why is it really that Bitcoin is actually worth anything? Why does anyone pay 6000 dollars for a "digital coin" that can hardly be used to pay for stuff? The latest product from SatoshiLabs, Trezor Model T, aims to be your digital vault, not only for bitcoin and other cryptocurrencies but also for your passwords and other sensitive information. Bitcoin.se is an independant site about Bitcoin, cryptocurrency, blockchain technology and economics run by me, David Hedqvist, since 2012. Read more about me and the site on the page about bitcoin.se. If you need help, feel free to send me a message on social media. Please also follow bitcoin.se on Facebook and Twitter for news and updates.